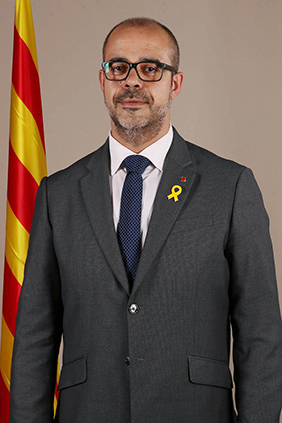 Mayor of Premià de Mar from February 2007 to December 2017 and president of the Catalan Association of Municipalities and Regions (ACMC) from October 2011 to January 2018, he has also been President of the Council of Local Governments of Catalonia (CGLC). Before he became mayor, he worked in the family business of insurance brokerage. Previously, he had studied the administrative branch of vocational training. He became a member of Joventut Nacionalista de Catalunya in 1996 and of Convergència Democràtica de Catalunya in the same year. He was a national advisor of the two organisations, and subsequently a member of the executive body.